Mainstream economists have finally discovered the importance of institutions. But they get it all wrong. 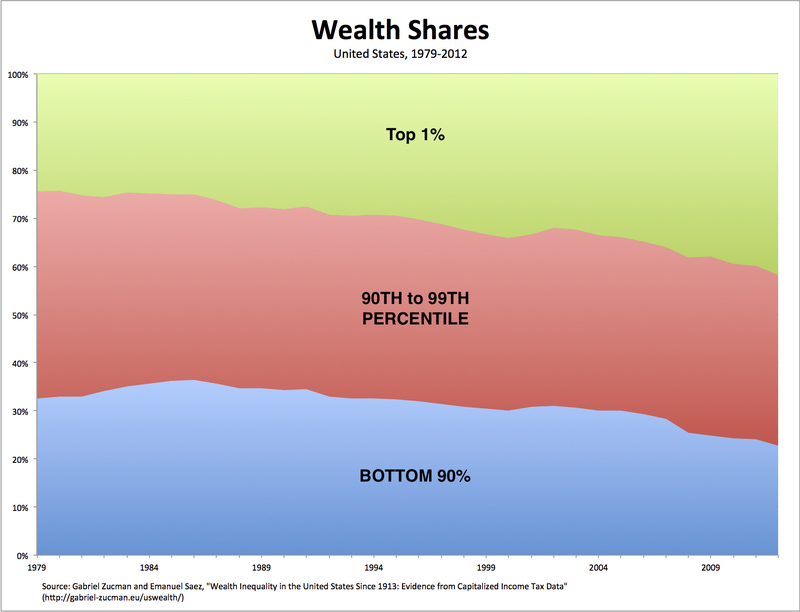 As I showed the other day, the distribution of wealth in the United States is obscenely unequal (with the top 1 percent owning more than 40 percent of the nation’s wealth), and has been getting more unequal over the course of the past three decades. And it’s the existing set of institutions—economic, political, and cultural—that has made it possible for a small élite to confiscate wealth from the vast majority, including the poor. You’re absolutely correct on all counts. Trump is a signal that the economic ship of state is sinking. He won’t win, but the inequalities that spawned him won’t disappear with him. Another, much smarter and infinitely more dangerous version of Trump is already waiting in the wings. And when he/she appears, the gloves will finally come off for good.